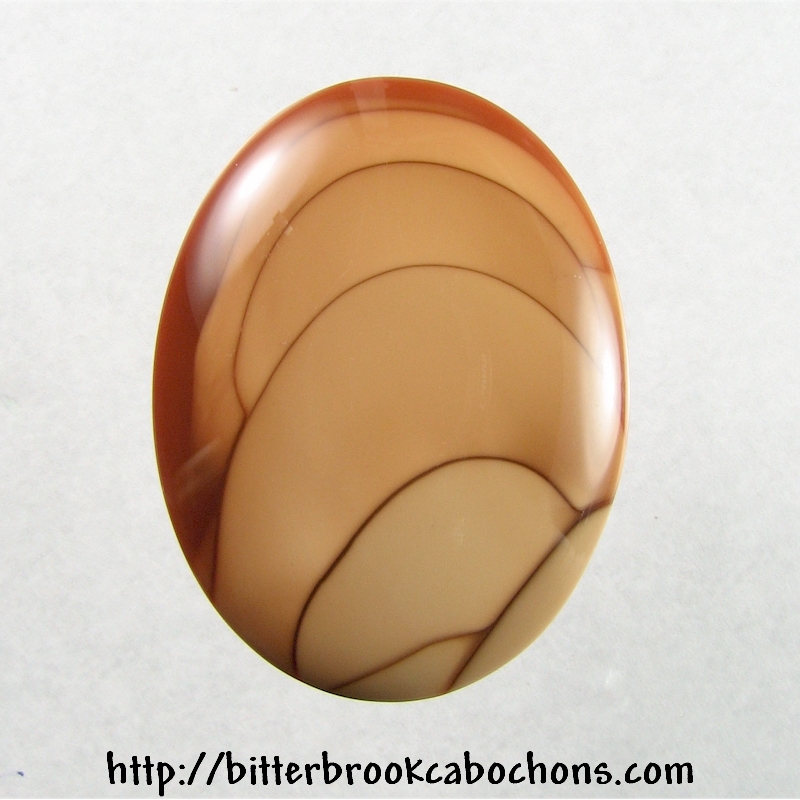 Here's a knockout Bruneau Jasper cabochon. I don't have very much of this material to cut, but all I have is very nice quality. This specimen has great coloring and patterns. Dimensions: 40mm x 30mm x 5mm. Weight: 45.55 carats.